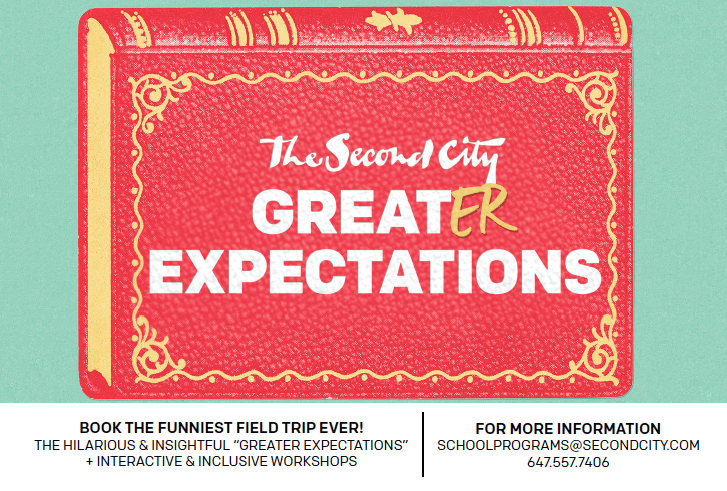 For over 16 years, The Second City has educated and entertained students with our award winning workshops and performances. From grades 2-12, students are enriched with our unique brand of education that combines improvisation, humour, and curriculum based programming. We offer a fresh resource for educators to provide students with an alternative experience to learning curricular ideas. Choose from three program options: Full Day Program (show + workshop or double workshop), Show Only, and Workshop Only. French Language and SHSM workshops available. Our educational performance, “Greater Expectations”, is built on pillars essential to creating a successful learning environment. Focusing on elements such as inclusiveness, teamwork, and problem solving, our workshops are suitable for students of all ages.